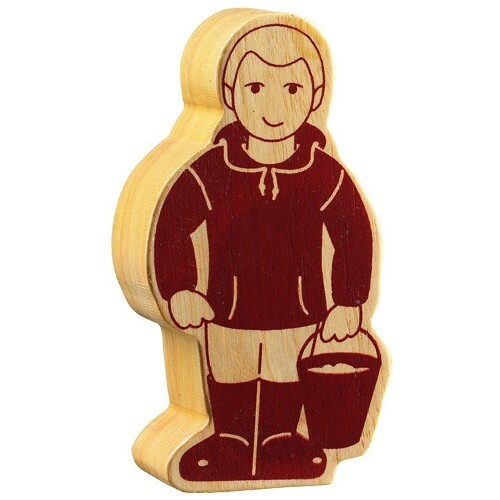 Young farmers will be delighted with this beautiful handmade wooden farm set. Handcrafted in Sri Lanka from sustainably forested rubber wood, this set comprises 15 essential pieces to make up a play farm. It includes a farmer, horse, foal, cow, calf, feeding trough, four hedges, hen, cockerel, tractor, tree and farm gate - everything you need to set up in farming. Left mostly unpainted, save for some brown detailing, the grain of the wood gives a rich character to the pieces. 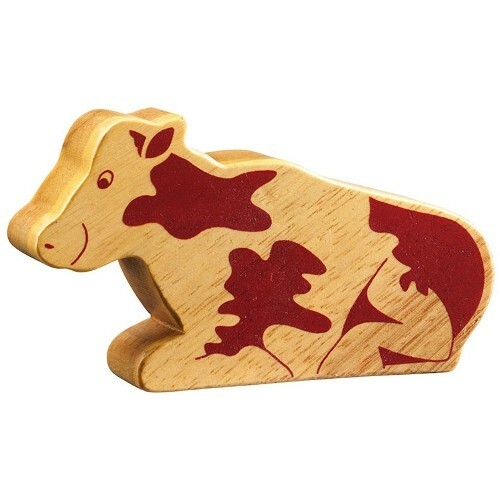 This eco toy farm is a timeless piece and will be enjoyed at home and is suitable for nurseries and play groups too. As a guide to the scale, the tractor measures 100 x 146 x 72mm. The animals come in various sizes but each is 25mm thick. 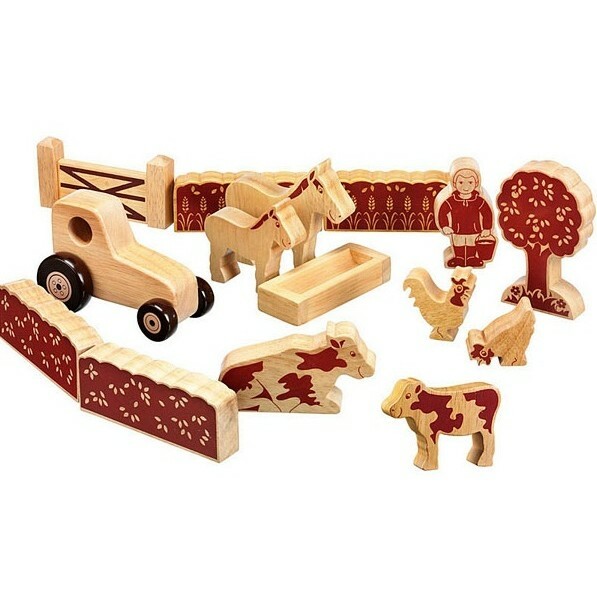 This farm set is suitable from 10 months. It is unsuitable for younger children due to the shape and size of the pieces.